The second beta round of WordPress 4.0 launched recently and it got me thinking about the anticipated feature set and how it stacks up to previous versions. There isn’t actually a huge feature boost this time around, which some are arguing is a good thing. Others are disappointed in what it offers (or doesn’t offer). So many varying opinions, so little time! But before we dive into what’s really on developers’ minds right now, let’s take a brief look at what the next version of WordPress is slated to offer. 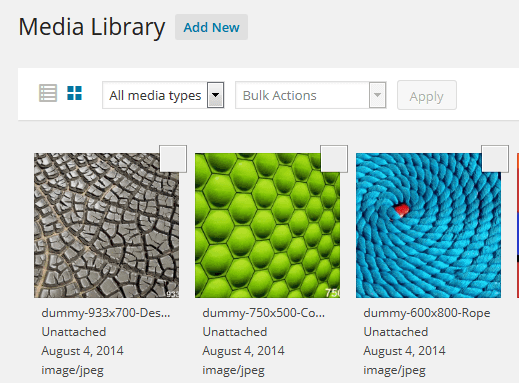 Media Library grid view. This allows you to get a larger preview of media items to make for easier editing. New plugin installation interface. Supposed to be more intuitive and less confusing for new users. Language selection options added to WordPress installation. Changes to how the keyboard and cursor control TinyMCE views. The ability to embed content from URLs directly into the visual editor. Better automatic resizing for the editor. Nothing too revolutionary here, but definitely a sign that WordPress is focusing more on refinement these days than on huge new innovations. So now that you know what WordPress 4.0 will have, we can get down to the good stuff. I recently solicited feedback from several developers to see what they wish the next version of WordPress had by way of features. Their answers really surprised me, and at the very least, provide some excellent food for thought in terms of how much of an individual experience using WordPress really is. When I think of the term, “WordPress developer,” I often think of plugin and theme developers only. A lack of built-in workflow management is often compensated for through plugins, but it does beg the question if this should be a built-in feature or not. “There is no simple way to version any particular mix of content, plugins, [or] theme versions except by backing up the site,” he says. Another feature thought to be missing by at least one developer is a simple button that makes effectively “undoing” certain updates or configurations as easy as pie. According to Ron Rule, Chief Technology Officer @ As Seen On TV, Inc. and a blogger, having a “snapshot of the configuration/database before installing plugins and a simple ‘rollback’ button if it doesn’t work,” would be immensely helpful. “Many poorly developed themes break after WordPress updates or plugin updates, resulting in having to manually restore from a backup,” he says, and a rollback button would help developers save a ton of time fixing errors like this. Rule has another suggestion for potential WordPress features, too: the ability to disable an RSS feed without having to delete a thing. “Many sites are running WordPress and don’t use any blog features, making RSS unnecessary and easier for people to steal your content,” he says. Since most people don’t know what files to delete, a simple solution like this would save developers time and the potential for mistakes. This is an arguably small feature and might be better served as a plugin, but if you’re looking for a total out-of-the-box solution, WordPress wouldn’t be ready for you without it. His logic is pretty sound. “This would streamline content creation significantly as it’s the only massive issue that I see currently impeding WordPress’ ease-of-use for non-developers,” he says. A lot of people really enjoy the flexibility TinyMCE offers, but it’s not for everyone. This just goes to show how difficult it is to please everyone with a standard product release. Sometimes it’s necessary to migrate hosts for your website. This can be an incredibly frustrating process if you don’t have the right tools at your disposal. “Your new host will likely have a different directory and database structure, making switching hosts a little more difficult than it should be,” says Ron Rule. “Something that lets you copy all files, settings, database configuration, etc. from your current host to the new one without having to know SQL logins, etc,” would be very helpful, he says. Again, there are plenty of third-party tools out there that offer this feature already but some developers like Rule believe it should be a part of Core. Enough Already With the Features! Though most of the feedback I received offered an abundance of new feature ideas for WordPress 4.0, one felt WordPress has enough going on already. “I may be the only one, but I’m not wishing for more features in WordPress 4.0,” says Mike Poller, owner of Poller & Jordan Advertising. “I truly appreciate the way I can use plugins to create the WP functionality I need for a specific client,” he says. The ability for WordPress to adapt and change to the specific needs of the person using it definitely has appeal. “WordPress is like a Chevy smallblock engine. I can modify it for horsepower or fuel economy, it’s my choice,” he says. Bog down Core with too many features and it stands to lose some of that oh-so-appealing flexibility. design and build the home I need on that lot.” Which is sort of the whole point of being a developer when you get right down to it. WordPress 4.0 isn’t as feature-rich as previous versions. Some feel that the platform might have hit its limit on what features it can include. This would explain the Core team’s recent shift to plugin as features development projects. Others would like to see WordPress truly be the all-in-one solution it’s capable of. There are numerous considerations to make on that latter point – site speed and flexibility, to name a few. Though we know what WordPress 4.0 will contain, it will be interesting to see where development goes from here. What will be included in WordPress 5.0 and beyond? Will the developers I spoke with have their biggest wishes granted or will plugin-based solutions officially become the way to go? That’s what I want to know from you. Where do you think Core development is headed? What do you wish future versions would include? Feel free to sound off in the comments! I would like to see a complete code and database overhaul. To me if the add anything it should apply to almost any WordPress site. It if it isn’t useful for almost any site, please don’t include it. Otherwise it becomes bloated. The same goes for plugins, they should be limited in scope so they don’t add bulk where it isn’t needed. It should be designed for users and not developers. UpdraftPlus Premium (of which I am the lead developer) basically does this. It automatically backs up your plugins or themes whenever you update a plugin/theme; and then you can roll back simply by hitting “Restore”. In general I don’t get the idea that a feature does not “really” exist unless it’s in WordPress core. i.e. That having it in a plugin is inferior. On the contrary – once it’s in core, you’re stuck with it. But, if it’s in a plugin, then multiple implementations are possible, and you can choose the one that best suits your needs. I personally would like to see more of the small pieces of functionality added to the core settings of WordPress. I’m thinking of all those almost required plugins added for basic little features such as analytics, site map, 404, SMTP, security and maybe even backups. I further realize these moves would stamp out some popular plugins – sorry @Yoast. I feel the advantages of fewer plugins (hooks/action) on speed and stability outweigh the ruffled feathers in the community. I’m not overly keen on TinyMCE myself, but it does do a decent job…I wonder how difficult it would be to implement something more effective. Speaking positively, one recent improvement that WordPress implemented – more robust autosaving – was a *huge* advancement. More fundamental improvements along those lines would be welcomed! I don’t think that any of those are likely to be added at any time in the near future (if at all). Great article, Brenda. We use a plugin that adds a rich visual editor to the theme editor, and his version and commit options in it. I agree that WP may be maturing — like all “products” there is a sunrise, mature, and sunset nature to them — much as I hate to use the term “sunset” in regards to WordPress… a great CMS.